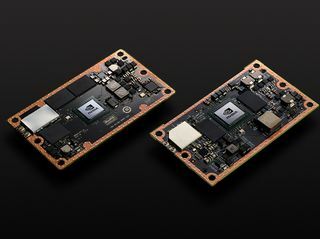 NVIDIA today unveiled the NVIDIA® Jetson™ TX2, a credit card-sized platform that delivers AI computing at the edge -- opening the door to powerfully intelligent factory robots, commercial drones and smart cameras for AI cities. 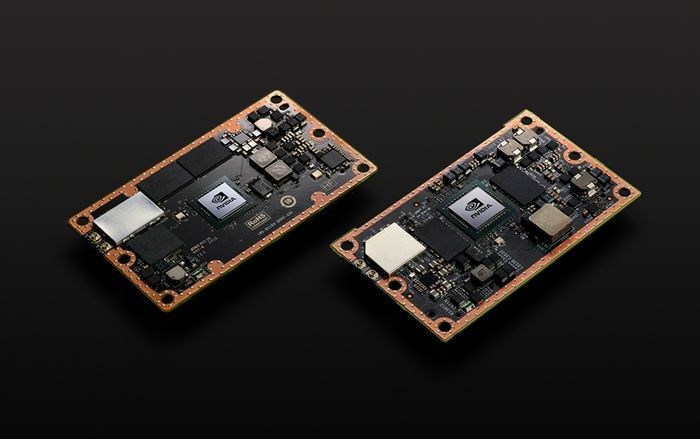 "Jetson TX2 brings powerful AI capabilities at the edge, making possible a new class of intelligent machines," said Deepu Talla, vice president and general manager of the Tegra business at NVIDIA. "These devices will enable intelligent video analytics that keep our cities smarter and safer, new kinds of robots that optimize manufacturing, and new collaboration that makes long-distance work more efficient." The Jetson TX2 joins the Jetson TX1 and TK1 products for embedded computing. Jetson is an open platform that is accessible to anyone for developing advanced AI solutions at the edge -- from enterprise companies and startups to researchers and high school students. 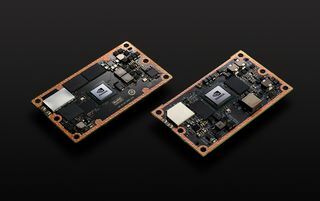 NVIDIA Jetson is a powerful platform that enables Cisco to add AI features such as facial and speech recognition to its Cisco Spark products that connect everyone, everywhere. Cisco is able to drive new experiences and remove the barriers between physical and virtual spaces, thanks to the Jetson TX2's advanced technology capabilities in AI computing and graphics. "For years, NVIDIA has demonstrated its commitment to FIRST through multifaceted support by providing Jetson developer kits for robot builds, online training resources, and team and event funding," said Donald E. Bossi, president of FIRST, an international K-12 nonprofit focused on science and technology. "Through these efforts, NVIDIA is helping to inspire more young students to become innovators and inventors." Certain statements in this press release including, but not limited to, statements as to: the impact, performance and benefits of Jetson TX2 and the Jetson platform; and the availability of Jetson TX2 are forward-looking statements that are subject to risks and uncertainties that could cause results to be materially different than expectations. Important factors that could cause actual results to differ materially include: global economic conditions; our reliance on third parties to manufacture, assemble, package and test our products; the impact of technological development and competition; development of new products and technologies or enhancements to our existing product and technologies; market acceptance of our products or our partners' products; design, manufacturing or software defects; changes in consumer preferences or demands; changes in industry standards and interfaces; unexpected loss of performance of our products or technologies when integrated into systems; as well as other factors detailed from time to time in the reports NVIDIA files with the Securities and Exchange Commission, or SEC, including its Form 10-K for the fiscal period ended January 29, 2017. Copies of reports filed with the SEC are posted on the company's website and are available from NVIDIA without charge. These forward-looking statements are not guarantees of future performance and speak only as of the date hereof, and, except as required by law, NVIDIA disclaims any obligation to update these forward-looking statements to reflect future events or circumstances. © 2017 NVIDIA Corporation. All rights reserved. NVIDIA, the NVIDIA logo, Jetson, Pascal, Tegra, TensorRT, VisionWorks and CUDA are trademarks and/or registered trademarks of NVIDIA Corporation in the U.S. and other countries. Other company and product names may be trademarks of the respective companies with which they are associated. Features, pricing, availability and specifications are subject to change without notice.